Learn how to do better website marketing, design, and development for your dental practice (dentists). Patient attrition is one of the most significant challenges dental practices face. But attrition isn’t always something a dentist can control because it isn’t always about how good the care was. 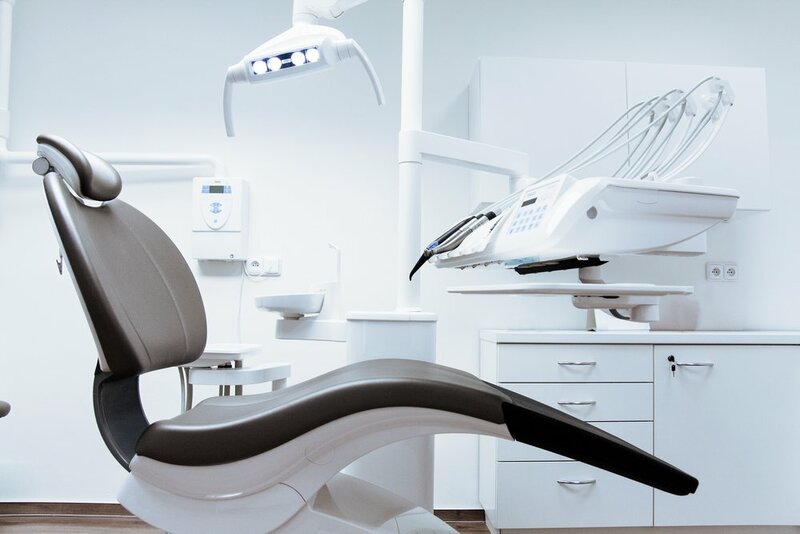 Patients leave dental practices because they change jobs and have new insurance or move out of the area making it inconvenient to keep seeing their dentist. Because patient attrition is such a challenge, dental practices need to focus on a marketing and advertising strategy that brings a steady flow of new patients to the practice. In a perfect world, you would be receiving calls where you have to schedule new patients a few months out because you’re so booked up. If that’s the situation you’re hoping for, this guide will help you get there. From online marketing strategies to traditional marketing and referrals, this guide is your one-stop, all-encompassing tutorial on marketing a dental practice. Here’s a look at the content you’ll find throughout. Let’s start building out a marketing plan to fill your dental chair with patients year-round. Generating new patient leads is the bread and butter of the medical industry. The need for dental care is not going away anytime soon, but the competition is stiff for earning the community's trust and appreciation because there are so many dental practices. There are many ways to generate and book more patient leads that your dental practice should be employing. Using both inbound and outbound marketing strategies can help you grow your practice at a steady rate. Inbound marketing is designed to use valuable content to bring customers to you. In inbound marketing, you’re earning the patient’s trust instead of buying it through paid media. In outbound marketing, you’re paying to reach your customer through tactics like television or radio ads. Here’s a look at how to use both strategies in your marketing. Search engines power a large part of customer research and decision making now, which means you need to be there when customers search for you. 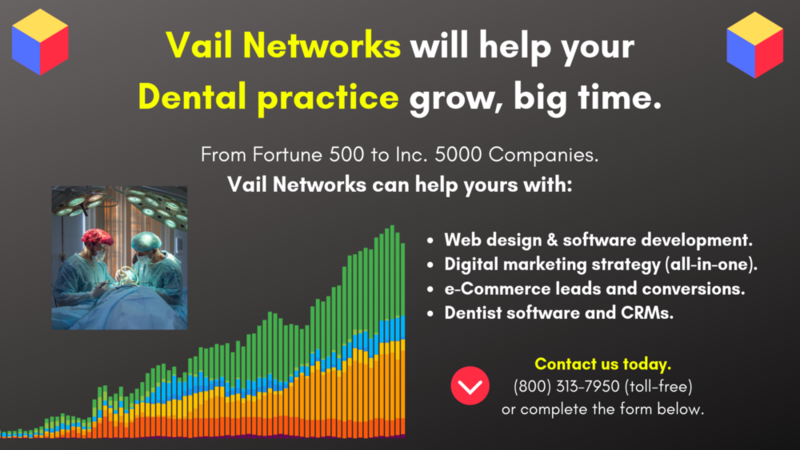 The most common searches are for companies within a certain area, so for example "dentist in Vail, Colorado." To be part of the customer's consideration list, you need to appear in those search results on the first page. Even if you’re receiving referrals to your practice, potential patients will likely do a little search for you online. They’ll read reviews, explore your website and then compare you to your competitors, which means you want to be sure you show up alongside your competitors. To ensure you’re showing up in local search, here are some areas to focus your marketing efforts on. Here’s how to get the most out of each of these tactics. An essential aspect of your search engine ranking is claiming your Google My Business listing. If you have already done so, you can optimize the content and ensure it all matches what's listed on your website. Google offers instructions on how to do this effectively, but it's a relatively simple process. You go in, create or update your information, and choose how you would like to verify your business. An easy way to verify is to have a postcard sent to your business address. After claiming your listing, your practice will appear on a map that shows dentists in the area. The map listing on Google shows up directly after any ads, which means this is exactly where you want to be to bring in new business. Consistency is a search engine's best friend, which means you need to be exceedingly diligent in keeping your information correct online. Search engines are very smart with all their algorithms and the vast amount of data on the web, but they still need a little help because they struggle to marry up data that isn’t consistent. Visit your social media profiles, Yelp listing, HealthGrades or other industry listings, your website, and any other third-party that lists your information online. Ensure that your practice name, business address, phone number, email address and more are all consistent. It’s also helpful to have your dentists’ names on these sites because potential customers might go looking for your information based on the names of your dentists. Reviews have little bearing on your search engine ranking, but they provide more details and reasons to choose you over your competitors once they search for dentists in their area. When you have reviews on your search engine results, they give a little nudge of confidence to your audience that you genuinely are a good choice. You can encourage current and previous patients to review your practice by sending a follow-up email or text message thanking them for their visit. In this message, give a friendly ask for a review. Prompting customers can be all it takes to get the reviews you need to prove why you’re the best dentist in the area. Plus, once you have these reviews, you can reuse them on your website or social media so that you have additional content that shows your strengths in the marketplace. Backlinks to your website from other websites help search engines understand what sites are reputable. For example, if a website with high traffic and a good reputation links to your website, it tells the search engine that you are more trustworthy because other trustworthy sites are linking to you. The more upstanding websites that list your practice information, the better. This is a quality over quantity situation though. You don't want to be listed just anywhere on the web because there are websites with poor reputations. Join your local chamber of commerce, sponsor an event in your community and ensure you’re on websites that list dentists in your area. All of these locations can help you to build out your online reputation so that search engines know you are trustworthy and reputable. Reviewing your website’s SEO regularly is a practice you should get into the habit of. Your site is the hub that you're sending all your traffic to from all of the strategies listed above. You need that hub to be a strong landing zone and tell the story of your practice well. Additionally, your website needs to provide local details so that it's clear you do business in the area. So make sure that your address is prominently displayed on your site and write blog posts about local aspects of your practice so that you use your city name. Your blog posts should be on topics that naturally mention your city name though. Don't try to fake it and make up an awkward blog just for the heck of it. Social media marketing goes hand-in-hand with your local search marketing. As potential patients explore and try to learn more about you, they might visit your social profiles. Here, they can learn a bit more about your dentists' bedside manner, what makes your practice unique and why they should choose you. Your social media strategy should protect patient privacy to be in line with HIPAA and other patient privacy laws. Just the same, you can have an outstanding social media presence without crossing the line of what’s permissible. Each social media platform has its strengths. You want to maximize those strengths and tailor your content for each platform. Instagram is designed for visual content. It’s a great place to share videos and photos in a variety of ways. You can leverage your reviews on Instagram using tools like Canva, which can help you design and format nice graphics without any design skills. Another marketing tactic Instagram is excellent for is sharing quick tips. Tell patients how to care for their teeth and gums daily, questions to ask their dentist during their annual visit or foods to avoid that are bad for your teeth. These short snippets are well-served on social media in a simple graphic. Smile & Co. (@smileandcompany) works hard at engaging their followers on Instagram. You will see a ton of personality on this Instagram page, from fun office photos to the staff in their pajamas at Christmas. The team takes their online reviews and makes them into neat graphics that share what makes their office tremendous and unique. You’ll also see information on awards and recognition the team has received so you can feel confident in your choice of a dentist. On Facebook, you can invite a bit more interaction with your customer than you do on Instagram. Facebook is also vital for your local search strategy because it's another platform where you can list out your company name with your address. Additionally, Facebook allows for clickable links in posts so that you can share articles and other information off of Facebook. Be careful with launching a Facebook profile without a social media strategy. Facebook does well on search engines, which means potential patients could land on your page and if they don't see updates, it's going to look suspicious, and they might wonder if you're still in business. So before you get out there, plan for how often you’ll post, who will handle it and what your goals are for being on the platform. Grandview Dental Care uses Facebook to offer a look into their practice in a fun and inviting way. You’ll learn about the ways their dentists volunteer their time to care for the teeth of those who can’t afford it but you’ll also so goofy photos from the team’s St. Patrick’s Day celebration. The dental practice team provides insights and highlights from their local neighborhood to elevate the community where they work. Because dentistry is such a local business, this is a nice feature to provide your Facebook followers who likely live and work in that community as well. Snapchat for business offers advertising to users in your area. Because it’s local and targeted, you can reach exactly who you’re hoping to reach demographically. Furthermore, Snapchat is a fun way to engage your clients and show them why you’re a great practice. You can create and publish a custom Snapchat filter for patients to use while they are in your waiting room. Think about a filter that makes for a great big smile and has your logo in the corner. They can then share their photos and videos with their friends who will now know which dentist they see locally. Snapchat filters allow you to choose a specific geographic area to show the filter within. This means the filter is only available when patients are within a certain distance of your practice, which can be fun for them. And it’s a fun side perk for your office staff as well. Pinterest is the second most influential social media platform in buying decisions. It's a robust platform for getting your message out there and convincing the public that you're the right dentist for them. Pinterest allows for links within your pinned photos so you can share your blog posts or dentist profiles. Pinterest is another great place to use your how-to or informational graphics you leveraged on Instagram. Short infographics or bulleted lists for dental care will work well on Pinterest. Urbandale Dentist has a variety of boards that both show their fun and personality as well as providing information their customers need to keep their teeth and mouths healthy. One such board shows off celebrity smiles while another offers ideas for treats that are dentist approved. You’ll crack up if you visit that “Dentists Wannabes” board as you look at animals taking a look inside people’s mouths. Reputation management is an essential part of your online marketing strategy. As you work to appear more readily in search engine results, you also open yourself up to more public criticism. It's a small price to pay for the massive amounts of exposure you get for displaying your practice online. Because you’re now opening another channel for people to share their thoughts and opinions on, you need to be vigilant in monitoring what they are saying and responding accordingly. When a customer posts a bad review about your dental practice, you need to have a policy for how and when you respond. You want to ensure that your responses are never defensive or accusatory. Accept the feedback, apologize for the mistakes and show that you care about your customers. You may never win back those disgruntled customers who post bad reviews. But you might prevent other potential customers from passing you over for fear that you aren’t responsive or don’t care about your patients. In some cases, you can get a negative review removed from a review platform. You can do this when the review includes false information, profanities, or is aimed at destroying your business. When reviews can’t be removed, your best bet is to respond in the most human and heartfelt way possible to show that you’re responsive. Crossroads Family Dentistry has a reputation management strategy that enables them to have strong online interactions with their customers. Take a look at one of their responses to a review to learn what they do well. The response offers a chance to make it right and explains the office’s standpoint on quality and care. They invite the patient back to experience the office again with a better outcome this time around. While digital marketing tends to be everyone’s focus, traditional marketing is still alive and well. There is a time and space for print. You have to use it correctly and to its full advantage. Because print marketing has a cost associated with it, make sure you have clear goals and objectives before launching a campaign. Just like each social media platform has its strengths for objectives and content types, so do print pieces. Here’s a look at how to use various print pieces. Historically, postcards were dentists’ primary way of contacting patients for appointment or scheduling reminders because it saved time over having the staff call patients. Today, postcards are still beneficial, but emails and text messages have taken over for appointment and scheduling reminders. Because postcards cost money to design, print and send, use them strategically. A great way to use postcards is to invite inactive patients back to the practice. Because postcards aren’t mailed in an envelope, the recipient can see the design and messaging without having to take any further action. Use captivating graphics and convincing language to get previous patients back into your practice. It's worth it to spring for a graphic designer for a postcard because they understand the nuances and needs of your audience in a way cookie cutter designs at VistaPrint can’t. One thing you need to be very aware of when sending patient postcards is what you put in the content. Because the copy is open to the public as it travels through the mail system, never put any private patient information on the postcard, or you could face hefty fines for HIPAA violations. The sky is the limit on designs and formats for mailers. From letters to booklets, you can create an eye-catching design that invites the reader in. Because these are more complicated designs and print costs generally, use this tactic sparingly. A good use of these fancier mailers is to follow-up on a conversation you received from an inquiry. It shows the potential client that you care and appreciate their time in discussing their dental needs with you. Fliers are great for adding information about your practice to an event, and they aren't nearly as expensive as some other print tactics since they are generally printed on a full or half sheet of standard printer paper. One fantastic use for a flier is for events in the community that you sponsor. For example, dentists can sponsor a 5K event and relate their messaging back to the fitness endeavor. That’s what’s great about fliers is you can use a standard template for fonts and photos and then customize the message accordingly. Just be aware that you don’t have to fill the full space of a flier. Since fliers are printed on a full sheet of paper, it’s easy to get carried away with copy and fancy graphics. Instead, use photos to break up your text and invite white space in to keep your flier simple and easy to read. Newspapers are very local, which means you're reaching people within your target area who live or work nearby your practice. That makes papers good for reaching the right audience with your message. The publication is often black and white or only has color on the front page. Without color, it can be more challenging to get your message across clearly so use simple graphics and bold text to attract the eye. Newspaper advertisements tend to be relatively simple as far as graphics and lead with good messaging. Television commercials still have a way of grabbing the attention of viewers. Because TV commercials feature people, they are very relatable for the average viewer. This is also a great place to use your dentists to show how approachable and friendly they are. To give you some ideas with what to do with your television commercials, here are the top three dental commercials and why they work. Innovative Dental used a common insecurity or concern that people have about smiling in photos with imperfect teeth. It shows a woman who holds back in all her pictures with her daughter because she doesn't like the way her smile looks.As her daughter approaches her wedding day, the mom realizes it’s time to do something. She meets with a dentist, discusses what she doesn’t like about her current smile, and gets results in time for the wedding. It captures a touching moment between a mom and her daughter and shows everyone that they don’t have to live with a smile they don’t like. The commercial works because it’s relatable and human. The commercial closes with information about the dental practice, so it's not in your face, and you get brought into the story before being sold to. OK, admittedly, this one isn’t from a local dental practice, but the concept is so good we had to include it. The commercial talks about how children are told to shy away from candy because of its effects on their teeth. So they create a focus group of children to develop healthy candy made from vegetables and cupcakes with wholesome ingredients. The lines the kids come up with to describe the healthy alternatives is priceless, and ultimately the message is that thanks to good toothpaste, we can have our Halloween candy. This ad works because it's funny and we can all agree that candy is good because it has sugar. Take that away, and you don't have much reason left to eat it. Starbright Dental gives you a look inside their dental office. From a warm and welcoming waiting room to friendly hygienists who provide the best care, they are there to make your dental experience inviting. There’s nothing especially flashy about the ad. It just feels like a classic day in the office at the practice, which is nice and real for potential patients. It enables a patient to truly envision what it would be like to be a patient there. Your website is how you make a first impression with most potential patients. You want to think about what sort of first impression you're giving people and put your best foot forward. It's possible to take what you currently have for a website and improve it, but if it was designed several years ago, it also might be time for a brand new website since designs change over time. To guide you in your decision-making as to how to build your website and what to feature, here's a look at what makes for a great site. The Perico Group features videos clips from their practice on the homepage without you having to scroll. You get a look into what it's like to interact with their dentists, and it shows just how friendly and welcoming they are. From the office staff to the people who provide treatments, the team looks inviting and warm. The videos invite visitors to spend more time on the page, which can help with SEO rankings and website metrics. Scroll a bit, and you get icons that provide next steps for learning about the practice and accessing resources you need. Then you have an about section that features their office locations, which is a nice touch for improving local SEO rankings. Beyond that, the practice does an excellent job of highlighting their awards and what makes them a great practice to choose for your dental needs without feeling too self-serving and showy. You also have a get to know us section to make the staff feel friendly and inviting. This website is clean and leads with images and videos from the practice. There are bold buttons for the most commonly used functions of the site – online patient registration and schedule an appointment. You can click to watch patient testimonial visits or see a tour of the office so you can relax and know what to expect since dental visits can give anxiety to patients. Learn more about the dentists in a quick overview on the homepage and then read more detailed information on the services the office offers. There are a few flaws with this site, mainly that the menu options are difficult to see and read on some of the images on the homepage and that the menu isn’t pinned to the top of the page as you scroll. All in all, it’s still a strong website for inviting visitors in to learn more about the practice. Seattle Oral and Maxillofacial Surgery has a clean site with beautiful graphics. The homepage offers a banner boasting the certification of the dentist, so you know he's equipped to do the job. There’s a submenu with commonly used links for you to learn more. Scroll a bit further, and you have beautifully done testimonial videos that have an overlay graphic until you hover over them. Your office technology is an essential aspect of your patient experience. Text message reminders about appointments, good practice notes from previous appointments detailing a patient’s concerns and history, and visit details all make for a good experience. Choosing the right dental practice software and technology is crucial to offering the best service so let’s take a look at some of the best pieces of patient engagement software you can get. Athenahealth EHR software blends practice management needs with care coordination. Dental practices can simplify their billing needs and administrative operations. The platform offers daily to-do lists and is used by more than 99,000 providers nationwide, making it an excellent platform for integrating care. Patient communication is possible through a patient portal, which you can link out to on your website. Plus, it’s a cloud-based software, which means you can access it when and where you need it. eClinicalWorks offers both a cloud-based and on-site option for your electronic health records. You can store and view all X-rays and other supporting tests within the system, so you have a holistic view of the patient. Watch your practice finances with revenue cycle management and make billing simpler with built-in features. You can view allergy information and alerts within the system to ensure you always provide the best care possible. You can manage your whole practice using ChartLogic. From patient records to billing, the information you need is available from anywhere with the cloud-based software. Your dentists and hygienists can create templates for their services, so that information entry is simple and easy to use. If you’re looking for voice dictation, the PrecisionVoice functionality is excellent for taking notes while treating a patient just by using your voice. The platform also features ePrescribing functionality to make prescription ordering seamless and straightforward.